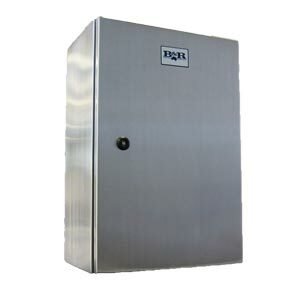 The Universal NI is a general purpose enclosure designed to maximise life in service and built for industrial or demanding environments. This range was designed to house equipment such as electronic controls and instrumentation, junction terminations, PLCs, motor control systems, hydraulic, pneumatic and machine tool controls. The unique wall mounting feature ensures installations are quick and easy with no need to drill holes in the enclosure body. 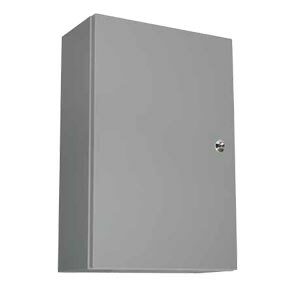 The B&R Forte FR IP65 enclosure range is a targeted, general purpose enclosure often used to house switchgear or components in a variety of applications. 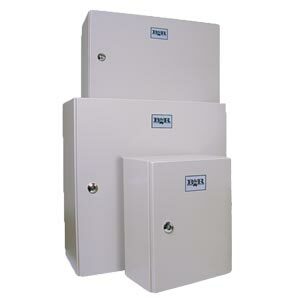 It is made from powdercoat painted steel and is the off the shelf enclosure within the Universal NI range.